was inspired by the construction and dynamic motion of hoop skirts from the early 1900s. 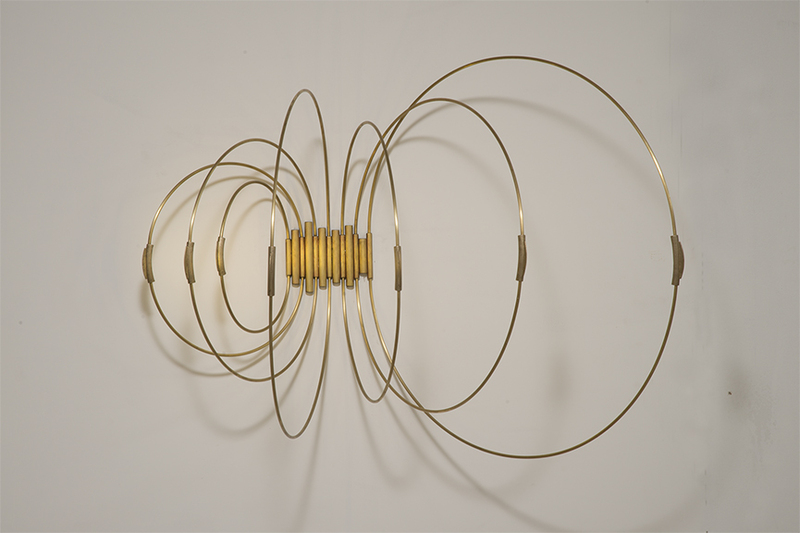 The brass hoops rotate back and forth, allowing the user to adjust the light and shadow causing it to play against the wall. Chandelier now available at Design Within Reach! !